50% off sale, regular price $38. 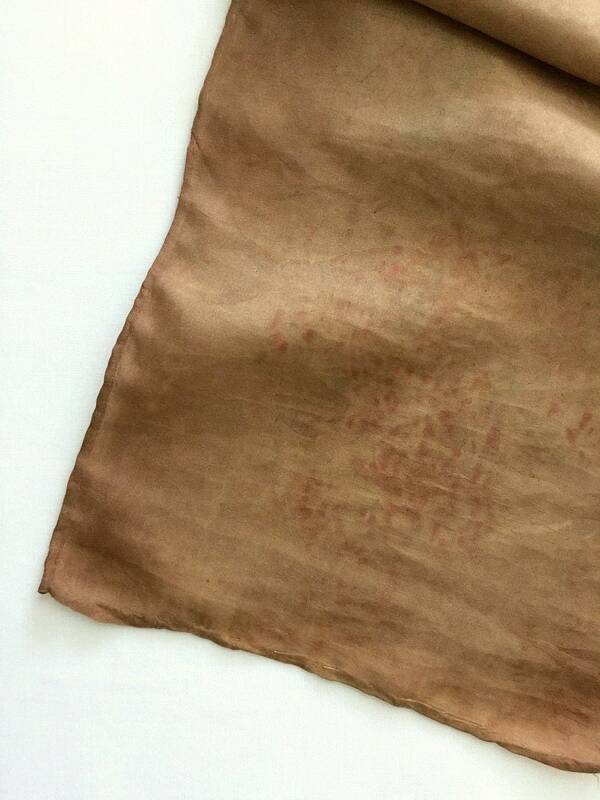 Silk scarf, naturally dyed in my studio with plant dyes. 100% silk. 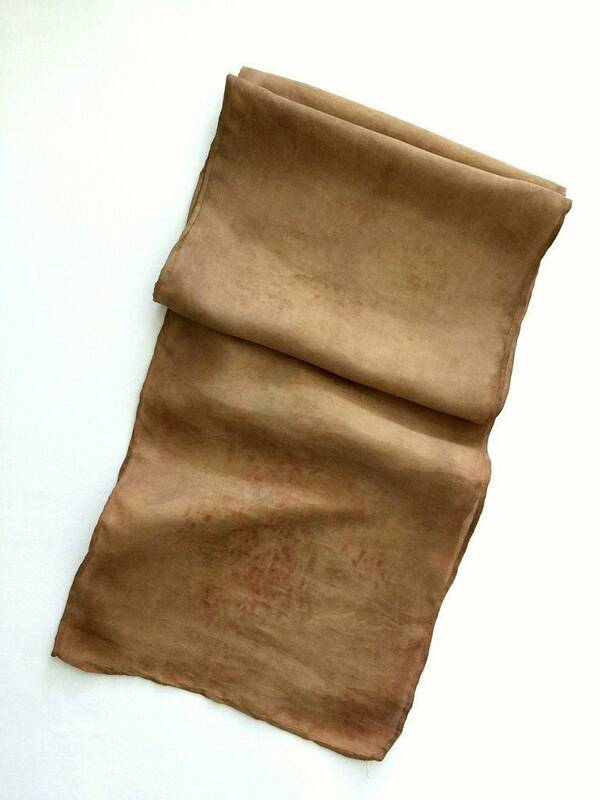 I used a natural dyeing process where eucalyptus and other herbs are rolled into the silk. It is one of a kind. Colors are copper, light brown, and green. Measures 8" wide x 52" long. Silk keeps the wearer warm in the colder months and cool in warmer months. Scarf will be folded and tied with a plant dyed silk ribbon and placed inside a gift bag. You can also use the silk scarf to tie a gift, as hair bandana, to tie with a knot around your purse handle, or as prop for styling photography.